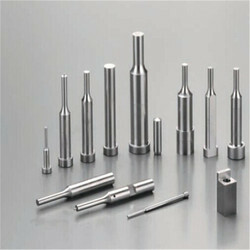 Leading Manufacturer of die punch from Rajkot. Our firm has some expertise in offering a phenomenal accumulation of Die Punch. These punches are produced utilizing highest grade crude material and complex innovation in congruity with the confirmed business standards. Keeping in mind the end goal to convey the imperfection unfenced at customers' end, these punches are checked against the different parameters of value before supply set by industry.